This is a Sullivan Large Double Screen "Crap Trap" Filter. 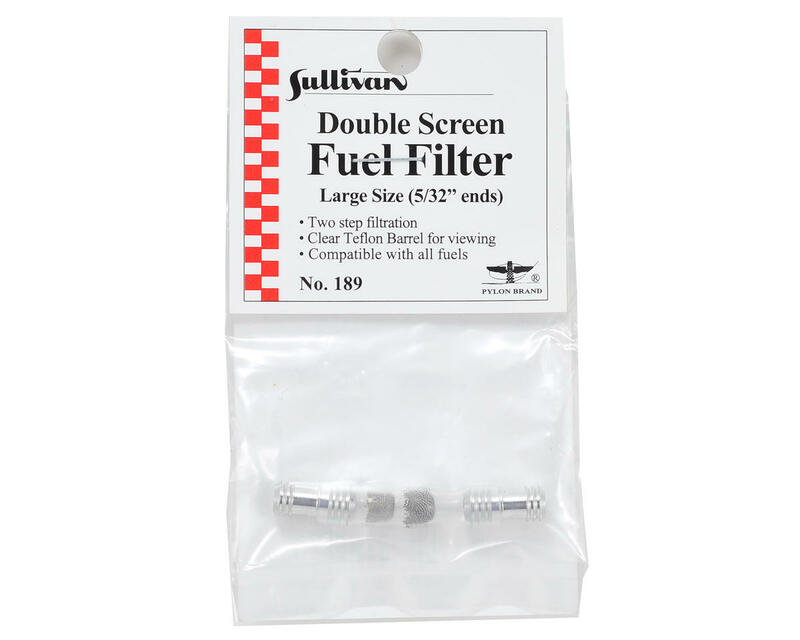 This Large Size Double Screen Premium Fuel Filter features a 100 mesh monel screen and then a 120 mesh stainless steel screen to provide increased filtering capabilities and removes even the smallest particles. 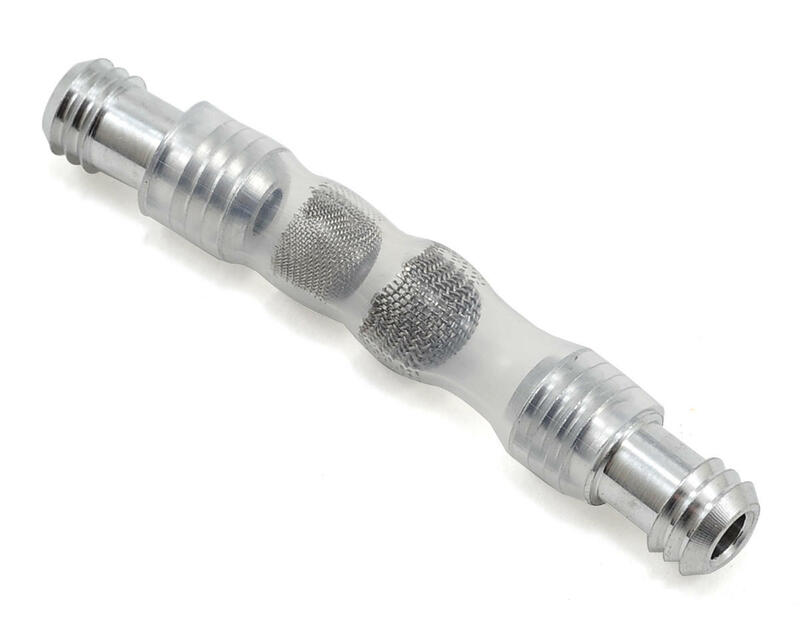 The filter body is made from clear PTFE so you can see whats flowing through the filter and aluminum ends are used for durability. The filter can be used with glow, gasoline and diesel fuels and is easily cleaned by simply back flushing the filter with fresh fuel or solvent. Use with fuel tubing that has between 1/8" and 5/32" inner diameter.